Some people—particularly the do-it-yourself owners—prefer to do repair works on their roofs themselves instead of hiring licensed roofers. While this may save them money that would otherwise have been spent to pay for professional contractors, there is a risk they might commit mistakes. Employ starter shingles starting at the rake and going into the eaves. The starter shingles are cut by around nine inches for new construction to fit the existing first course. For three-tab repair shingles, the measurement is five inches. The first shingles should be cut by six inches so that the shingles could stagger out of the first course. This creates an unsightly look on the roof. Make sure the vertical and horizontal alignments are in place. Use a chalk line when installing new shingles. For repairs, simply align the new shingles to the existing shingles. Set horizontal chalk lines every 10 inches starting from the bottom. Vertical chalk lines are made every 36 inches starting from the ridge to the end of the shingles on the first course. Always read the product specifications by the manufacturer on the number of shingles to be installed based on local wind zone. Three-tab shingles usually require at least four nails although the number of nails could go up to six in places where strong winds blow. Aside from the number of nails required to properly fix the shingles to the roof, the location where the nails are driven is just as important. Again, look at the manufacturer’s instructions to know where the nails should be placed on the shingles. Know also the length of nails required for the right shingles. As a rule of thumb, nail penetration should be at least three-quarters of an inch. 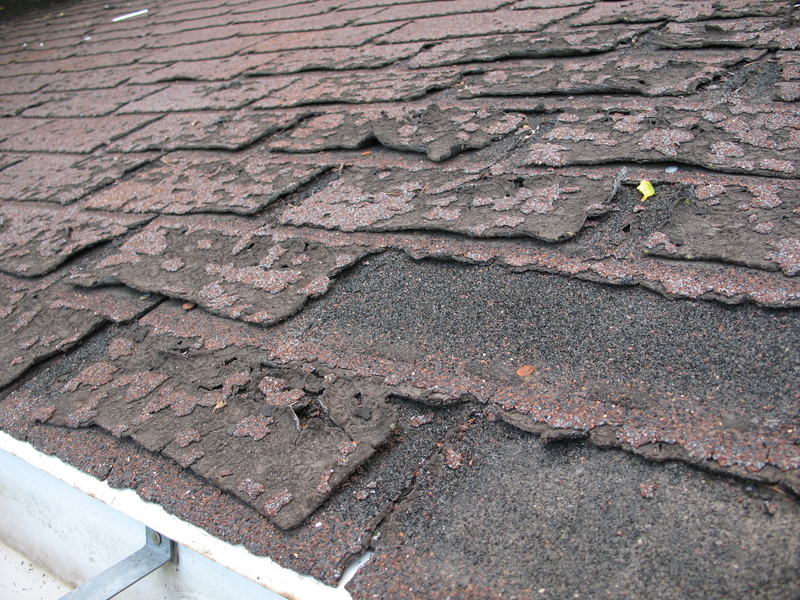 Improper use of incompatible cement and other adhesives could further damage the shingles. 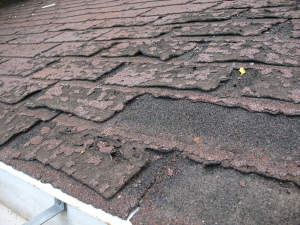 Asphalt cement should only be used on the underside of shingles. Just make sure the shingles overhang at the eaves by not less than half an inch. Ensure that there is enough space between the shingles by about one-sixteenth of an inch. Affix three inches of shingles above the eaves, the number of nails depending on local and geographic conditions. Flat Roofs vs Dimensional Shingles: Which One Should You Choose?